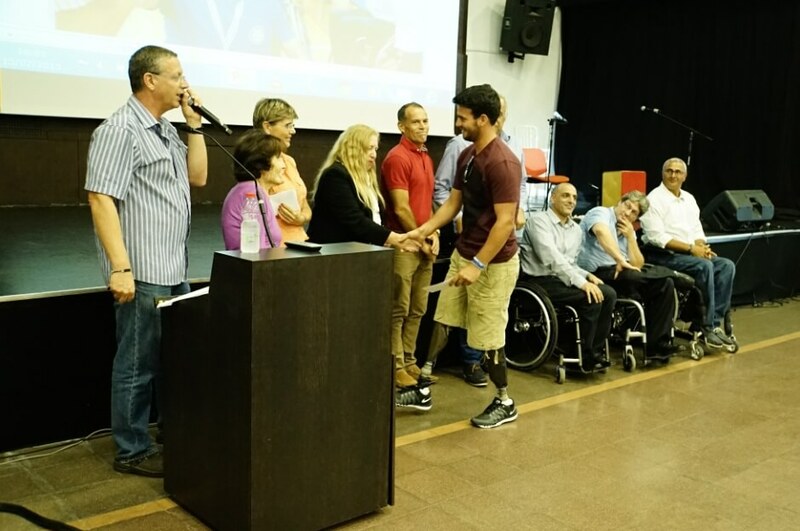 At a moving sports scholarship award ceremony on July 15th 2015, seventy four excelling athletes and coaches received scholarships totaling NIS 470,000. These scholarships are awarded to sportsmen and women for their outstanding achievements, potential and contribution in their chosen sport. Our heartfelt thanks to our donors who make it possible: The Jaffe Family, Israel, UK, South Africa and USA, Kehilat Nitzan in honour of Allon Furstenberg, Australia, the Cohney Family, Australia, The Resnick Family in memory of Etlya, Mordko and Peretz Resnik, Spain, Mr. Peter Dorram, USA, Ms. Rose Schupak, USA, Dr, Henry Tausk in memory of his wife, USA, Ms. Shirley Jacobs, USA, Mr. Nehemia Hazak, USA, Electro-Miniatures Corp., Ms. Alla Roytman, Ms. Laura Brail in honor of son Seth Brail’s Bar-Mitzvah, ZDVO Beit Halochem Australia, South African Friends of Beit Halochem and the Dr. Sarah and Dr. Max Graf Trust, Israel. A special thanks to Attorney Mr. Ian Jaffe and members of his family and to Attorney Ms. Aliza Levine, on behalf of the Dr. Sarah and Dr. Max Graf Trust, who attended the ceremony.